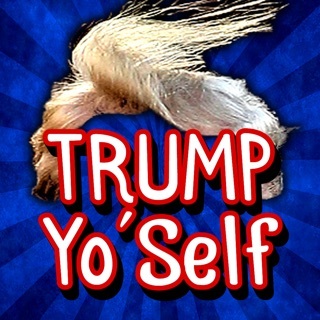 Make Trump Say What You Type! - Build up your collection of DittyMoji’s with more celebrities, cartoon characters, famous artists coming soon! 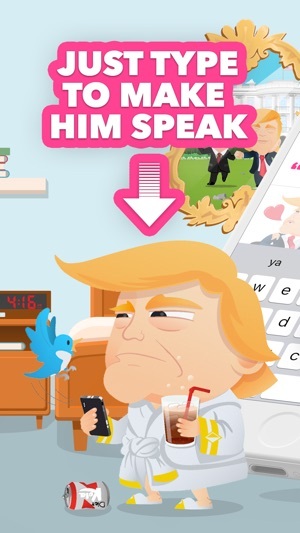 - Make Messaging Great Again! 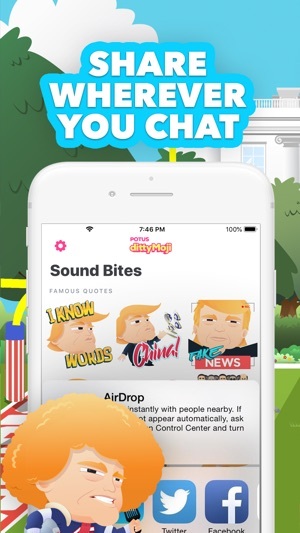 Select any DittyMoji, type your message, and watch Donald Trump’s mouth move and animate while he says your message back to you. Send as an iMessage, via text, SMS and MMS. 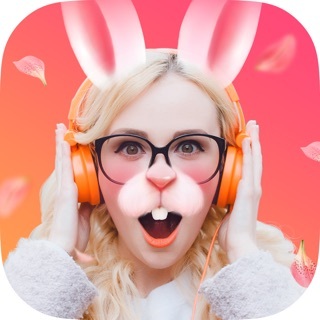 DittyMojis are better than a GIF - they make sound! 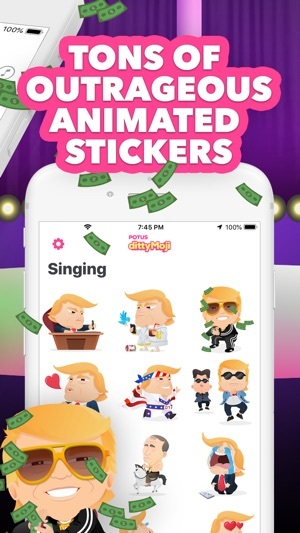 DISCLAIMER: DittyMoji is not affiliated with nor endorsed by President Donald Trump, Melania Trump, Vladimir Putin, Kim Jong Un, Justin Bieber, Ariana Grande, the Kardashians, America, Russia, any political campaign, candidate, celebrities/celebrity or political action committee. The next step in building emojis is here! Use on iPhone SE, iPhone 5s, iPhone 6, iPhone 6 Plus, iPhone 6s, iPhone 6s Plus, iPhone 7, iPhone 7 Plus, iPhone 8, iPhone 8 Plus, iPhone X and iPad mini 2, iPad mini 3, iPad Air, iPad Air 2, and iPad Pro. Cool but not really effective. I can’t understand half the things I make it say. It’s all about the phrasing. If what you’re typing does not fit the phrasing of the song then you can’t understand what he is saying at all. Great idea but needs work. I would even settle for no music at all. The real treat is making him say things he wouldn’t ever say or admit. The music and song part is distracting to be honest. Hey RyanMac15, thanks for your feedback. If you want your DittyMojis to talk, just tap the second button at the bottom and you'll find Talking tab. Hope this helps. 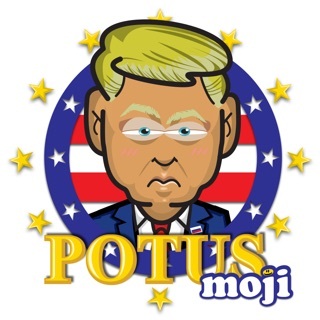 Thanks for trying DittyMoji! 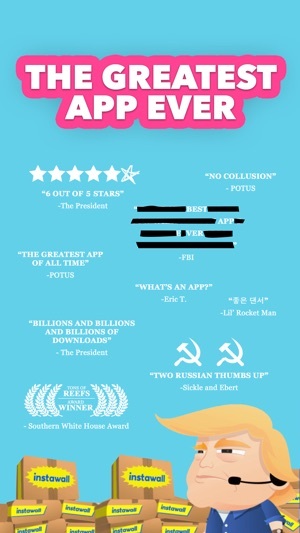 I’m a trump supporter, this is the only app I’ve ever purchased. I love the app. 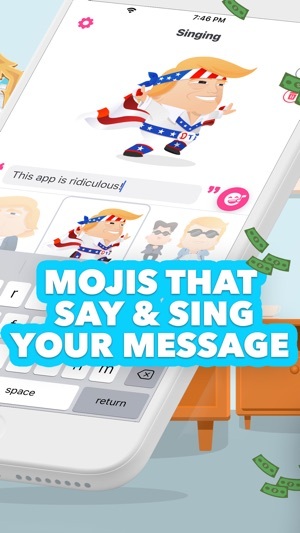 The fact you can add your own text that he sings, makes the singing emojis more neutral. However it would be cool if you add a bunch more pro trump stickers. Hopefully you have more emojis in future updates. Could be cool if you could type words in the talking emojis. But you can only customize the speech in the singing ones, which is weird and kind of lame. The talking ones would be great if you could make him say what you want in them. That would be yuge, like really, the best. And I know the best. Make that update and it’ll be a solid 5 stars. Until then, I can’t see me using it very much. Hey, thanks for your feedback. Talking is now featured! You can make DittyMojis say anything you type. Just tap the second button at the bottom and you'll find Talking tab. Hope this helps.